One of the more popular questions that atheists ask is "Why does God make it so difficult to believe in Him? If he would just give us some proof he exists, I'd believe." I've heard such statements many times, but I don't think their claim is true. I think the atheists are misstating their case in what devotion to a real God means. They fail to understand the stubbornness of the human heart and the animosity the natural man holds against God. One way to better understand how people in the real world react to a righteous and holy God, we can simply look to the past. For argument's sake, let's assume the stories of the Israel's deliverance from Egypt are true. There, God does a series of miracles to free the Israelites from their slavery and set them in a promised land. These are not run of the mill miracles, either, but show-stopping affairs. God dried up the Red Sea and then drowned the Egyptian army in that same sea. He provided both meat in a desert and manna with the dew each morning. He cleansed the bitter waters and also produced water from the rock at Meribah. He led them in a cloud by day and a pillar of fire by night. God gave as much evidence as one could possibly want to the Israelites. One would think such grandstanding would make believing in Yahweh a slam-dunk, right? Unfortunately, no. Even though the Israelites were direct witnesses to some of the most obvious proofs of God's existence, it did not stifle their desire to abandon God and do what they pleased. The psalmist summarizes the reaction of the people in Psalm 106. Time after time, they disobey God, they don't trust God, or they turn to foreign gods. God's provision of proof didn't make the Israelites more faithful; it simply highlighted how selfish and demanding their hearts were. Nothing other than getting everything they wanted at the time they wanted it would do. When I read the accounts of the ancient Israelites, I find their reaction to be completely human and believable. Even if you're an atheist who doesn't hold to the historicity of the accounts, you must admit that stubborn rejection of proof is a real possibility. In fact, this scenario is more probable than not. That's why people still start smoking cigarettes regardless of how big the Surgeon General's warnings appear on the package. No one is saying, "Why didn't anyone provide proof that cigarettes cause cancer?" They all know it does, but their desire trumps the evidence. The proof doesn't matter. The resurrection of Jesus is a really good example of just how this plays out in the question of God's existence. We have as much evidence for the historical fact of the resurrection of Jesus as we do any event in ancient history. If Jesus rose from the dead, then it provides evidence that God exists. There is compelling evidence that Jesus rose from the dead. Therefore, there is evidence that God exists. However, atheists will contort, excuse, deny the resurrection as not evidence, or even deny that Jesus ever lived at all (!) because they don't like the conclusion. They won't use the same standard to measure the resurrection as they would other acts of ancient history. I think most people would agree. While many people form an idea of God that comports to their view of the world, most don't want to be beholden to a holy, righteous God that tells them the things they want to do are not good and they shouldn't do them. As long as that is fundamental to the human condition, proof of God's existence will never suffice to change their minds. It can always be explained away. 1. Nagel, Thomas. The Last Word. New York: Oxford UP, 1997. Print. 130. Actually as very cogent and enlightening. It really does come down to a heart issue. "For his invisible attributes, namely, his eternal power and divine nature, have been clearly perceived, ever since the creation of the world, in the things that have been made, so they are without excuse." Romans 1:20 God has proven He exists through His creation. All one has to do is look around with an open mind. So, in support of his case the author starts with nothing short of a personal attack. "If you don't believe as I do, if you don't agree, then it's because you are too stubborn. If you don't agree, it's because you have too much animosity." Whenever someone has to begin by defaming the character of others who happen to disagree with them, this is a very good indicator of the weakness of their position. There's good reason to give their claims any more consideration or to further discuss the issue since it's clear that no matter what happens, they will very likely once again resort to personal attacks. madmax2976, you've misrepresented what I said. Human beings are naturally stubborn on many things, God being only one of them. That's why I offered the smoking example as well. Believing what I believe is besides the point, which is why i also used the Israelite example. Certainly, they were not atheists but their stubbornness and animosity were on display. There is much (physical) evidence for God - the universe and all that is in its vastness, the uniqueness of earth among all the celestial bodies in that it alone is designed for life, all of living creation, human consciousness. All of these declare God clearly - and yet there are atheists. The author's point stands: no matter what God has done, can do, or will do to reveal Himself, disbelief isn't going away. @avegoodtime, I'm sorry but I have to disagree. The evidences that shows smoking is unhealthy doesn't diminish the number of smokers. Even if you increase their prices, smokers will still have budget to smoke and destroy their lungs. This is the same in drugs. Maybe you should use another example. Or maybe it just shows that people do what they want to do, no matter what (the consequences or the truth). 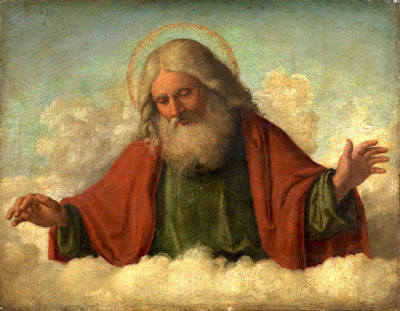 If God would quit being stingy and regrow one, just one, amputated limb for someone, and have it documented - I'd be a believer......pretty easy work for a supposedly omnipotent deity don't you think? @Andrew, actually it's already done and it's documented. You can read it at the beginning of the book of Genesis in the Bible. Do you believe that? You stated that there is just as much evidence for Jesus's Resurrection than any other ancient historical event. Your standard of evidence must be very low. First off there was no contemporary evidence outside of the Bible that Jesus existed. Letters like Josephus are known forgeries even admitted by the Vatican. In the entire first Christian century Jesus is not mentioned by a single Greek or Roman historian, religion scholar, politician, philosopher or poet. His name never occurs in a single inscription, and is never found in a single piece of private correspondence, zero zip references. The 'Gospels' the life of Jesus were written decades after his death approx. between 70 AD and 140 AD by anonymous authors which were not first hand witnesses. Which is the resurrection account with the 500 witnesses that's so fundamental to Christianity. There is however real historical empirical evidence of King Tut and Queen Nefertiti who lived 1300 BCE. Someone real and important leaves a trace. You forgot to site your source, which is of coarse the movie, "Zeitgeist!" No,I've never seen that movie which does have a lot of false information. Most of my sources are directly from the Bible, historical manuscripts such as the Dead Sea Scrolls and from Christianity websites. Also archaeological evidence of people in the Gospels who were rulers, both Roman and Jewish. Herod and his family lineage coins. Pontius pilate inscription. Ossuary of high priest who charged and condemned Jesus to be crucified. Moreover the epistles are earlier than Gospels and furnish very early Christian beliefs in 40AD and provide a window. Theae show the historical reliability of New Testament so much so that Simon Greenleaf, the professor of law who was an expert in evidence, left atheism and became a Christian. The evidence is so good that William ramsay the archaeologist became a Christian based on evidence. These guys knew how to sort out evidence and they were convinced. When you use biblical accounts of history as the primary foundation for your argument, you demonstrate a level of willful ignorance that makes your entire statement virtually worthless from a rational scientific standpoint. Consequently, I find it very difficult to respect you from an intellectual standpoint. You may be a very kind decent person but your intellect suffers at the hands of your blind faith. And this makes me sad for you. Let's examine your conjecture from the obvious ignorance that it is. Evolution was developed by a novel written by Darwin. He claims he saw something and speculated that somehow, these finches evolved. Now, Darwin's book is neither historical or actual scientific fact. The finches are still finches. Textbooks for school have been written based upon a suppose theory that is supposed true. So what textbooks have is basically 2nd or 3rd hand conjecture and speculation. The Bible is a collection of 66 books over the course of 1500 years of Jewish history, written by a variety of authors including kings, prophets, lawyers, and an historian. Now, your comment suggests the common atheistic notion that the Bible is not a resource of history or fact, so it cannot be used to prove anything. This is a logical fallacy called Special Pleading. Now, you also error in the fact that you assume, as many atheists do, that the Jews of antiquity wrote history as we do today. NOPE. They were genre specific. This explains the different contents of the Gospels in general. Now you also said that the authors entire statement is worthless from a scientific standpoint. When did science become the end all for all discussions? Seems you have quite a bit of faith that science can explain everything and anything. If that is true, then prove your entire statement true scientifically. Whether or not "you find it" intellectual is besides the point. Who made you the one to decide what is intellectual and what is not? Again, this is Special Pleading which is one of the most common logical fallacies of ignorant atheists such as yourself. You know absolutely nothing about evolution. Since Darwin, evolution has been proven beyond a Reasonable Doubt especially since the discovery of DNA. Evolution is a fact with over 390 thousand peer reviewed papers supporting evolution. Since Darwin, so many fiels of science support evolution with mountains of crossover evidence. Seriously, get an education. "We have as much evidence for the historical fact of the resurrection of Jesus as we do any event in ancient history. If Jesus rose from the dead, then it provides evidence that God exists. There is compelling evidence that Jesus rose from the dead. Therefore, there is evidence that God exists. However, atheists will contort, excuse, deny the resurrection as not evidence, or even deny that Jesus ever lived at all (!) because they don't like the conclusion. They won't use the same standard to measure the resurrection as they would other acts of ancient history." 1) Inconsistent stories in several manuscripts written decades after the supposed life of Jesus makes for poor historical fiction, not evidence for a resurrection. 2) The strawman of the atheist who is such because he/she doesn't want to be controlled is flat-out nonsense. The vast majority of atheists are only evidence-based truth seekers. Really engage us and you will find out. "We have numerous, independent accounts of his life in the sources lying behind the Gospels -- sources that originated in Jesus' native tongue Aramaic and that can be dated to within just a year or two of his life. Historical sources like that are pretty astounding for an ancient figure of any kind. ... Moreover, the claim that Jesus was simply made up falters on every ground. The alleged parallels between Jesus and the "pagan" savior-gods in most instances reside in the modern imagination: We do not have accounts of others who were born to virgin mothers and who died as an atonement for sin and then were raised from the dead (despite what the sensationalists claim ad nauseum in their propagandized versions). ... One may well choose to resonate with the concerns of our modern and post-modern cultural despisers of established religion (or not). But surely the best way to promote any such agenda is not to deny what virtually every sane historian on the planet -- Christian, Jewish, Muslim, pagan, agnostic, atheist, what have you -- has come to conclude based on a range of compelling historical evidence. Whether we like it or not, Jesus certainly existed." Site one independence source that can be dated a year or two of jesus's life. You have bought into apologetics lies.There is no contemporary evidence outside of the Bible that Jesus existed. Letters like Josephus are known forgeries even admitted by the Vatican. Please give up spending time thinking about a floating head out in space and devote that time to seeking real, demonstrable, truth. And you can spend some time considering that life in the absence of the Christian God has produced the greatest mass-murders in all of recorded history. I always think of Luke 16:30-31 when I see these kind of claims. "If only God would do this .. I'd believe". How much irony must have been in Yeshua's voice when He delivered this pronouncement! Because that was exactly the evidence they were going to see, a man returned from the dead, and yet, Matthew 28:17. 10 000 individuals in the last 200,000 years, let alone a population of 8 which was Noah and his family approximately 4370 years ago. With out the Adam and Eve story there would be no 'Original Sin'. Without original sin there will be no need for Jesus, the Christian religion falls apart completely. The whole religion is based on and relies on a story that could not possibly be true. Thank you for your modern misreading of a 3500 year old text out of the poetic context that the historical grammatical reading requires. These types of simple hermeneutical and exegetical mistakes are common for the untrained and biblically illiterate. There are 7 conservative interpretations of the Gen 1 account currently. You pick the one that has the least engagement with context of the Canaanites 3500 years ago. It serves as a strawman that you then knockdown. You follow with a sweeping generalization that all scripture must be filled with stories. You are not even trying to understand. Your arguments (fallacies) will only convince someone who is ignorant of how to study any ancient documents and their cultural milieu. And someone ignorant of logic and fallacy. But you have found such a person it seems. Yes,god's word is so clear that there are over 30,000 denominations of Christianity with thousands of interpretations and meanings. God and religion fails. Please send an email request by going to http://www.comereason.org/contact/. I'll send you the permissions for reprinting. To anyone commenting on this post in favor of it, I will be more than glad to dialog with you. My only requirement is that it remains a dialog, not a monologue. thanks. Exodus 24:9-11 has Moses, Arron, and the 70 elders seeing God and eating with him! This is before Arron made the Golden calf. In Luke 17:11-19 Jesus healed 10 lepers. All knew they had encountered a divine miracle. None doubted that God existed. But only one came back to thank Jesus and follow him. Again in James 2:19 we see that the demons hold a strong belief that God exists, but their belief is of no interest to God. We also see with the Jairus, "Help me with my unbelief," statement and with the disciples that often Jesus was very tolerant of unbelief for those who wanted relationship. Okay, so tolerant may not be the best descriptor, but their willingness to follow him was credited more that their doxastic certainty. My question to all of the atheist's replying to this thread. Why do you even care? Are you trying to convince others that God does not exist or yourselves. What harm is there in someone believing in the existence of God and following a doctrine that teaches us to love on another and live by a high moral standard. I believe you are longing for someone to prove you wrong. To go though life thinking this is all for nothing and everything is by chance is just sad. I would much rather believe that there is a purpose to our existence and that there is something more after death. Why does that seem so terrible to you. have you ever taken a moment to consider that? I care because any belief without evidence is harmful, and the truth is important to me. Perhaps this post from my blog will help clarify why I think even moderate religion is harmful. You have to accept the existence of the universe without evidence. It's by faith you must accept you are not a brain in a vat being given false images. You seem to be a believer in scientism by the name of your blog. Care to explain how we can verify science using science without presupposing the veracity of science? There are sources of knowledge outside of science that has the same level of importance as the knowledge that is gleaned from scientific research and discovery. Is is distantly possible that most atheists would be so stubborn as to refuse to believe in the face of clear and unambiguous proof? Sure, I guess---anything is possible. But is it remotely plausible? Clearly not. Besides, this is a moot point if proof is already on the table. In other words, the argument in the blog post only matters if we concede that atheists are in fact justified in being atheists. Is that really what the apologist wants to do? To acknowledge a lack of proof for the existence of God? Tell me, what evidence would YOU accept as sufficient to believe in God? What evidence would I accept as sufficient? I honestly don't know. Probably it would take intersecting lines of evidence rather than just a single item. For example, if prayer to the Christian God was consistently efficacious, that would be a big help. Then if Jesus made regular appearances to many different people, that would also help a lot. If either one of those things were to happen, I would come to strongly suspect that Christianity were true. I might even believe it completely, although it's hard to say without actually being in that situation. Of course, at the end of the day, it's not the skeptic's job to come up with a program for God to demonstrate his existence. If God wants to do it, then it's His job. And if the apologist wants to make a point about it, then it's his job. "it's not the skeptic's job to come up with a program for God to demonstrate his existence. If God wants to do it, then it's His job." This is exactly what I mean. Evidence exists. It is offered, but dismissed as non-evidence. Why must there be several lines of evidence? I notice you used wiggle words like "that would help a lot" instead of "X would convince me." What about a clear miracle like a person coming back to life? Certainly that is an act that lies outside of nature. Those are not "wiggle words," though. I tried to be quite clear that I don't know what would convince me, and I was just throwing out some possible ideas. To repeat from before, it's hard to say what would be convincing without actually being in that situation. To answer your question: A person coming back to life would convince me that naturalism is false, but it would not, by itself, convince me that God exists. Why should it? Finally, I am not dismissing any evidence here. None of what I described has actually happened; it's all hypothetical. If you want to discuss some actual, non-hypothetical evidence, we could do that. But then, let's keep in mind that just because we might disagree on whether it is good evidence doesn't mean I'm being stubborn or hard-hearted. What an ignorant thing to say. Obviously, everyone would believe in God if they had proof of his existence. If we had proof, we couldn't choose not to believe in God anymore than we could choose not to believe in the ground beneath our feet. The stories about the Israelites aren't even comparable. They rebelled against the god that they knew was real, they didn't question his existence. Believing in a god and obeying him are two different things. You can believe that cops are real and still break the law.